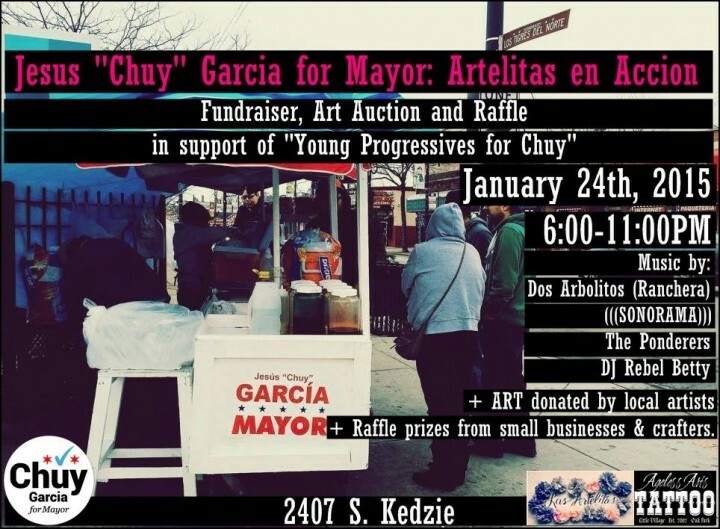 La Villita arts collective Las Artelitas, a group of young women focused on creating art and fostering culture and community, are working to help Jesus “Chuy” Garcia get elected as Mayor of Chicago. They are hosting a fundraiser to help raise funds for Young Progressives for Chuy in an effort to bring new leadership to Chicago. 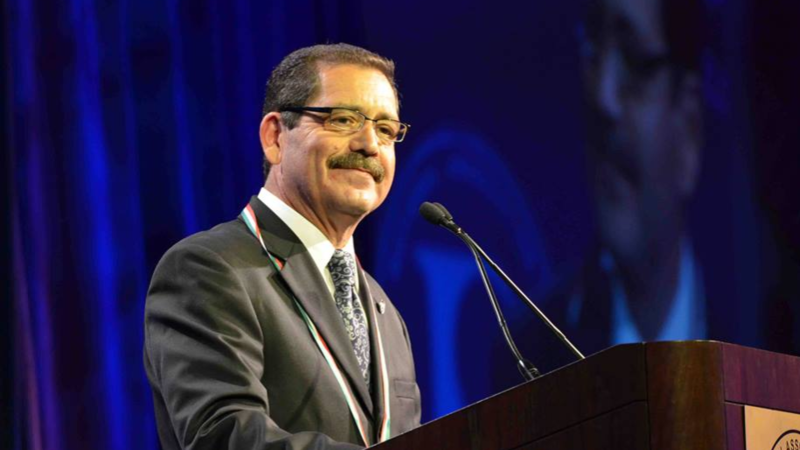 Jesus “Chuy” Garcia has worked in the community for many years helping strengthen resources and community power. The event takes place Saturday, Jan. 24 at Ageless Arts Tattoo located at 2407 S. Kedzie in La Villita. Artelitas en Accion #Chuy2015 Edition is hosted by Little Village entrepreneur Jaime de Leon. There will be an auction and raffle of works by more than 20 artists and will feature performances by Dos Arbolitos (Ranchera), Luis Tubens (Poet), ((SONORAMA)), The Ponderers, Rebel Betty and more! Botanas and appetizers are sponsored by Sobremesa Supper Club. Also making an appearance will be Jesus “Chuy” Garcia who will be speaking with the community. Las Artelitas hope to see you at this event which is truly a community effort.